Drinking beer is a pretty simple thing to enjoy. Unless of course you hate beer. That would make it pretty tough. In any case, beer is sold for people who enjoy and I enjoy it. The enjoyment of beer drinking can be made even better when you get a six pack to sample straight from the brewery. 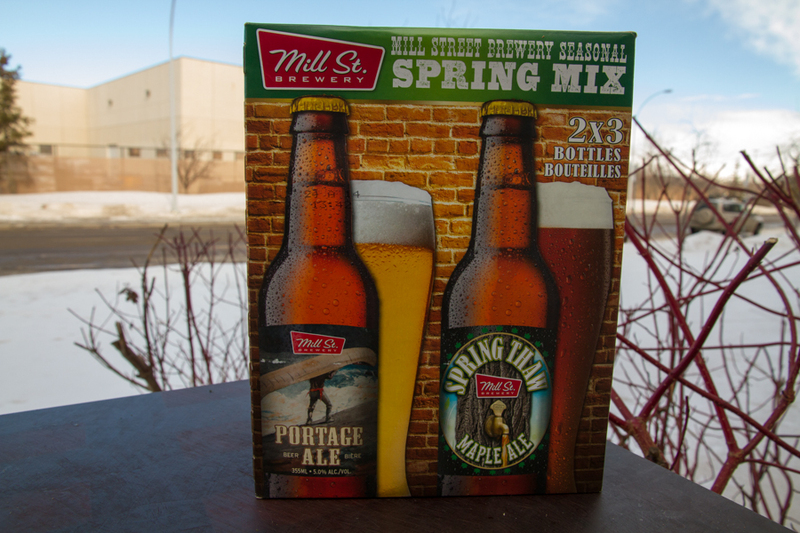 In this case, I received a complimentary six pack of beer from Mill St. Brewery as they celebrate the launch of their new seasonal spring mix. With two beers on offer, the six pack included 3 bottles of Portage Ale and 3 bottles of Maple Ale. 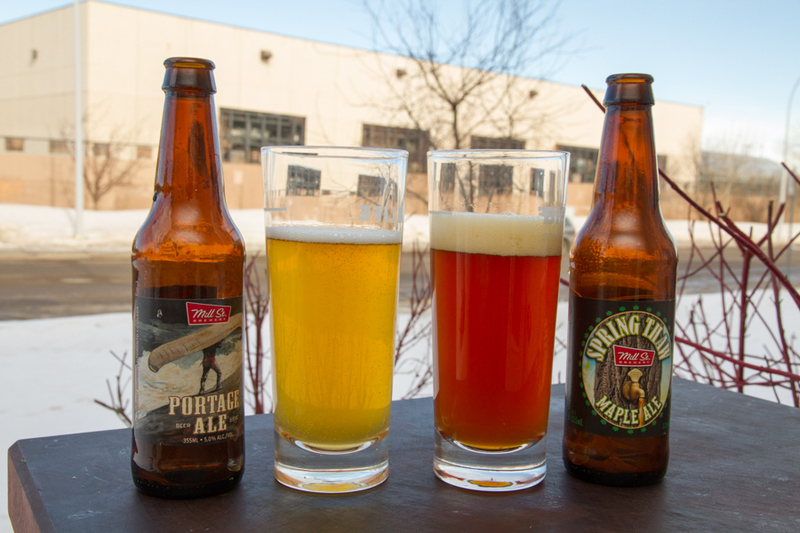 The Portage Ale story is as such; Born at our Ottawa brewpub this is “old school” cream ale. Brewed in the style of several beers made long ago by breweries from the Lebreton flats upon which our brewpub is located. This beer is an easy-drinking, crisp, thirst quenching ale with a deep golden colour and bright white head. It is fermented twice, once with ale yeast to produce a creamy, robust palate and then again through a secondary fermentation with lager yeast to develop a smooth and mellow character – truly unique to this classic North American beer style! At 5% alcohol, this ale is as golden as advertised. It’s a refreshing beer that would easily find its place beside a plate of nachos or accompanying the spring bbq season. In a world where every beer seems to try and out hop each other, I find this crisp ale very enjoyable. The Maple Ale story is; Deep amber colour and made with lightly smoked malt and Lanark County maple syrup, Spring Thaw Maple Ale is the perfect way to cope with the late winter blahs! We smoke part of the malt ourselves and then infuse the beer with eastern Ontario maple syrup from the Wheeler’s Family sugar bush in MacDonald’s Corners to give it a slightly sweet, wonderful hardwood-smoked character. Very lightly hopped, this is a variant of a carbonated Irish Red Ale. This beer will break the ice and wrap you in warmth at the end of a long winter. Go forth! At 5.3%, this beer is more of what I want. Outside in the light, the gorgeous amber colour almost entices you back for another sip soon after putting it down. The smokey and sweet notes work well together with just enough hoppiness to tingle the palette. After a tough week this is the kind of beer you grab. Thanks to Mill Street for the sampler. I’ll be heading out to buy a few more six packs.